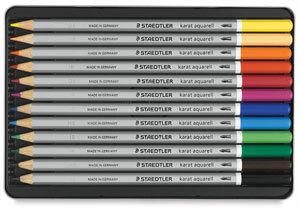 Staedtler's Karat Aquarell is a versatile colored pencil. 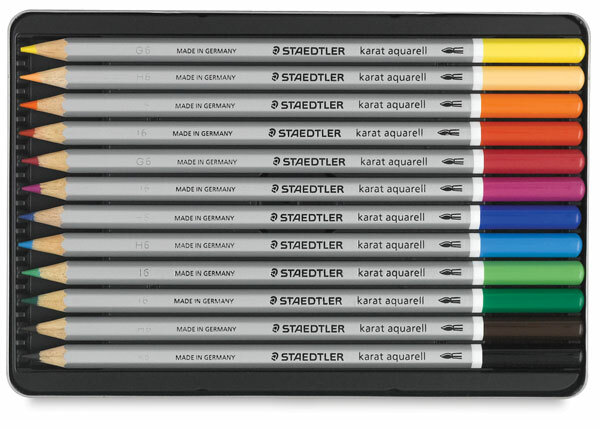 Colors are brilliant and fade-resistant, and leads are strong for performance under pressure. 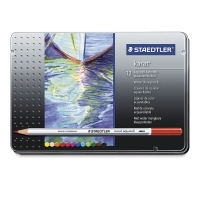 With a brush and water, fill your Karat drawing with brushstrokes, subtle washes, and beautiful watercolor effects. Pencils are pre-sharpened.